Home » Indian Instant Pot: Pre-order your copy now! Indian Instant Pot: Pre-order your copy now! 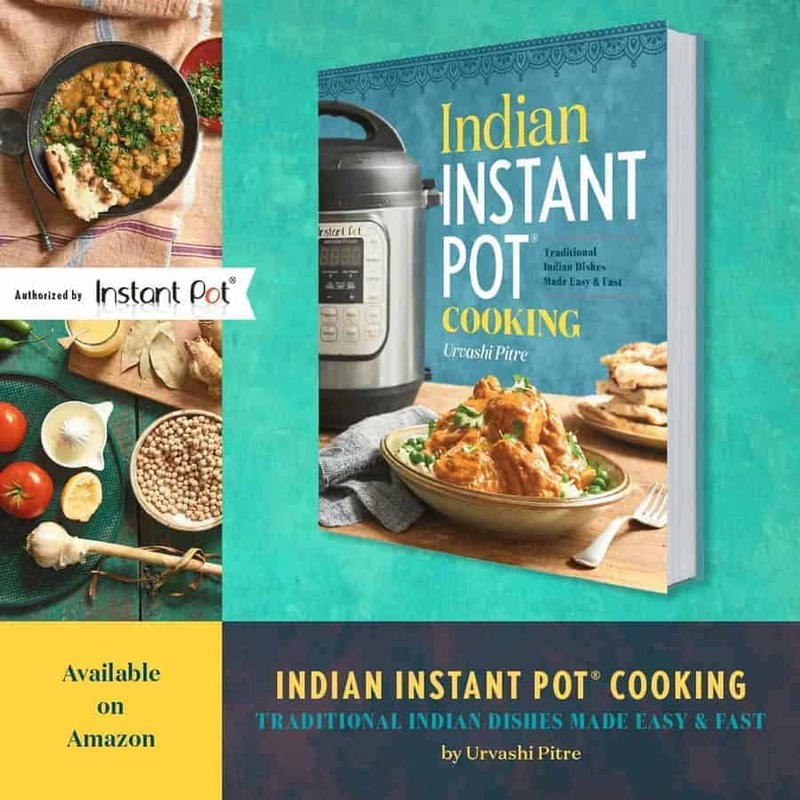 From the publisher of the bestselling cookbooks Instant Pot Obsession and The Instant Pot Electric Pressure Cooker Cookbook comes the first authorized Instant Pot cookbook for Indian cooking at home. It’s tempting to dine out when you think about the endless steps and ingredients that it takes to make traditional dals and curries. Just ask Urvashi Pitre, best known as the “Butter Chicken lady,” whose cooking philosophy consists of traditional flavors made with fewer ingredients and in less time. Urvashi simplifies a range of classic Indian dishes as well as childhood favorites so that anyone who loves Indian food and their Instant Pot can enjoy easy and fast meals any night of the week. An Instant Pot cookbook with classic Indian recipes: Mango Chutney, Chickpea Salad, Lentils with Fried Onions, Palak Paneer, Mixed Vegetables with Coconut, Butter Chicken, Pork Saag, Carrot with Raisins, Indian Rice Pudding, and much more! Savor easy and delicious Indian cuisine with Urvashi’s Indian Instant Pot cookbook. I am vegetarian and wondered how many veggie recipes were in this book – I can’t find an index anywhere so I can have a look. 56 recipes of which 14 are meat and there are subs suggested for most of those. I’m excited about your new cookbook, and pre-ordered it. I’ve enjoyed the recipes on your blog, and am happy to give back by buying your book. Aww thank you! I very much appreciate the support. Glad you’re enjoying the recipes!